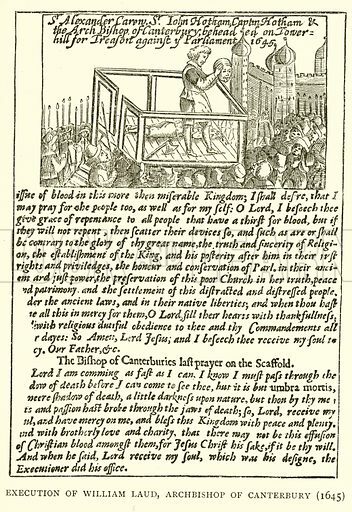 Execution of William Laud, Archbishop of Canterbury (1645). Illustration for London in the time of the Stuarts by Sir Walter Besant (A & C Black, 1903). Available worldwide for immediate download up to 4,158 x 6,051 pixels.